(VEN) - The 6th or 2017 Quang Nam Heritage Festival themed “Quang Nam - Connecting Cultural Heritage” and related activities will take place from June 7-14 in Tam Ky and Hoi An cities and some other localities in the central coastal province of Quang Nam. Dinh Hai, director of the Quang Nam Province Department of Culture, Sports and Tourism, said promoting marine and island resources will be the highlight of the festival. 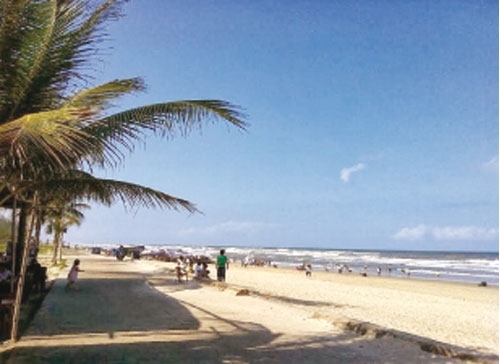 Hai said that the festival’s opening ceremony themed “Tam Thanh - Summer Feelings” will take place on June 9 at Tam Thanh Beach in Tam Ky City. The Tam Thanh area consists of fishing villages interspersed by peaceful countryside. It is not only beautiful but also has a unique village of paintings, which is the result of an art cooperation program between Vietnam and the Republic of Korea (RoK). The hand-painted murals on the village homes attract tens of thousands of visitors every week. 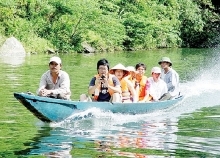 Quang Nam is continuing its basket coracle-based community tourism development project in Tam Thanh Commune. - a silk festival from June 12-14. 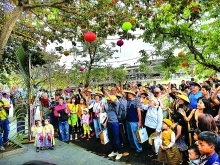 Apart from promoting and honoring cultural values of Vietnam in general and Quang Nam in particular, the 2017 Quang Nam Heritage Festival is expected to greatly help boost tourism development in and attract an increasing number of visitors to Quang Nam. 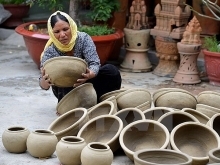 The province is accelerating preparations for the festival. It is encouraging travel and transport businesses to ensure good services and operations serving the festival, and commit to keeping their service prices public and unchanged during the festival. expected to attract more than five million domestic and foreign visitors in 2017.